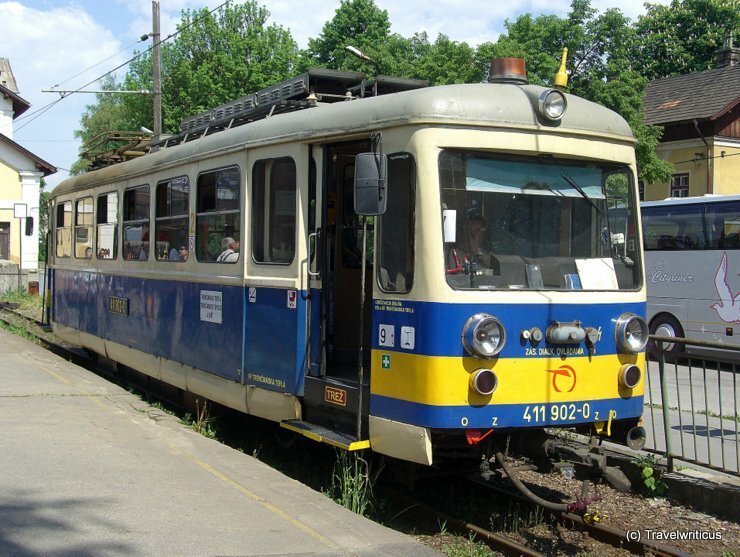 The German name ‘Gothawagen’ refers to the Gothaer Waggonfabrik in Gotha, where the first tramcar of this class was built in 1957 (T57). 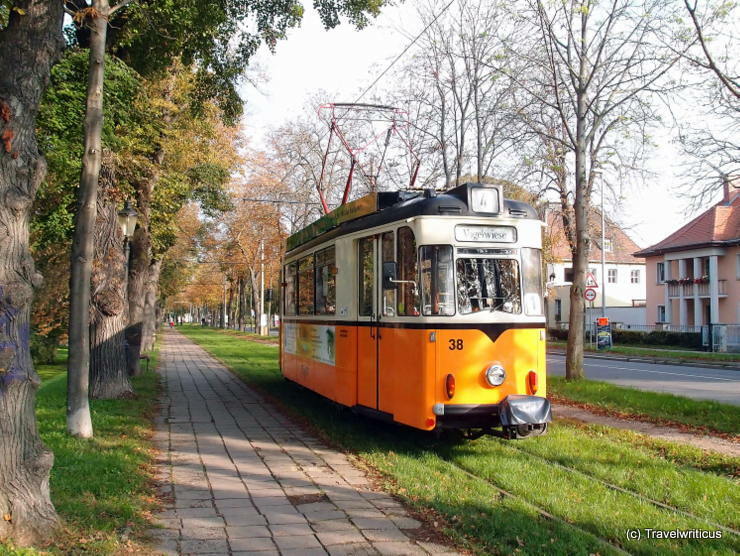 The depicted tramcar was built in 1960 and is still operating for the Naumburg Tramway. 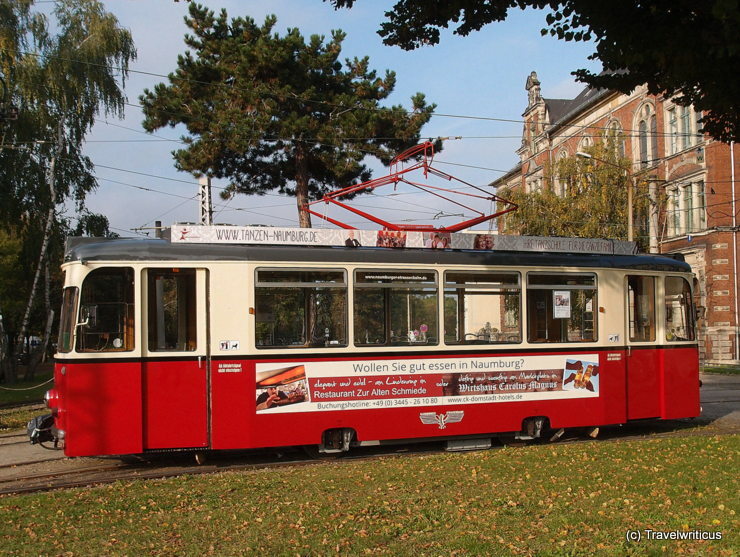 This tramcar still operated by the Naumburg Tramway was built in 1973. 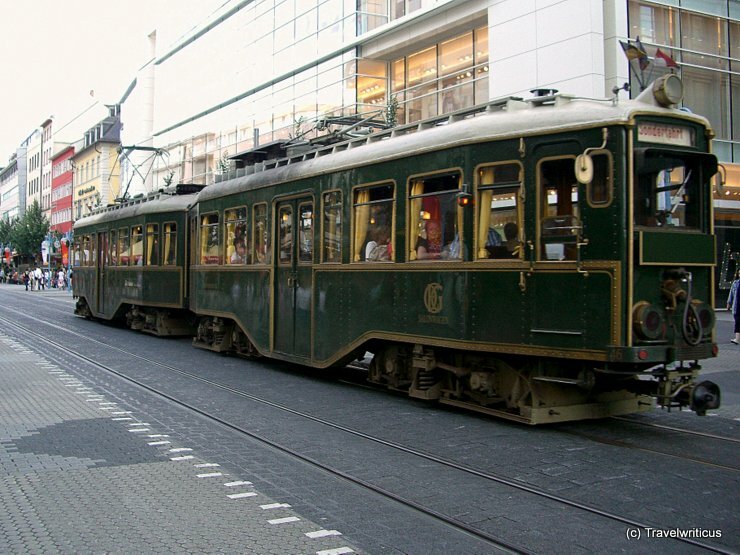 Even though this tramcar numbered N° 51 is of the same class as tramcar N° 50 it looks more lively. Fascinating how much difference some red paint can make. 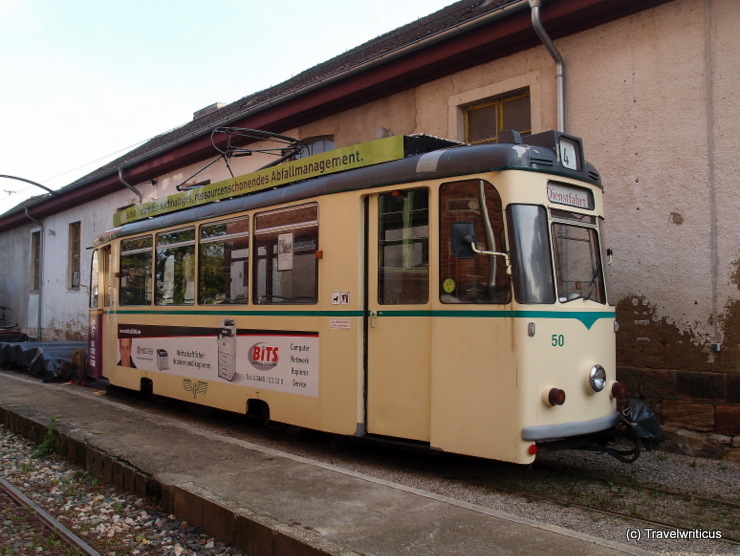 This tram car of the class 70/1 was built in 1971 and is still used by the Naumburg Tramway (Naumburger Straßenbahn) in Naumburg (Saale). 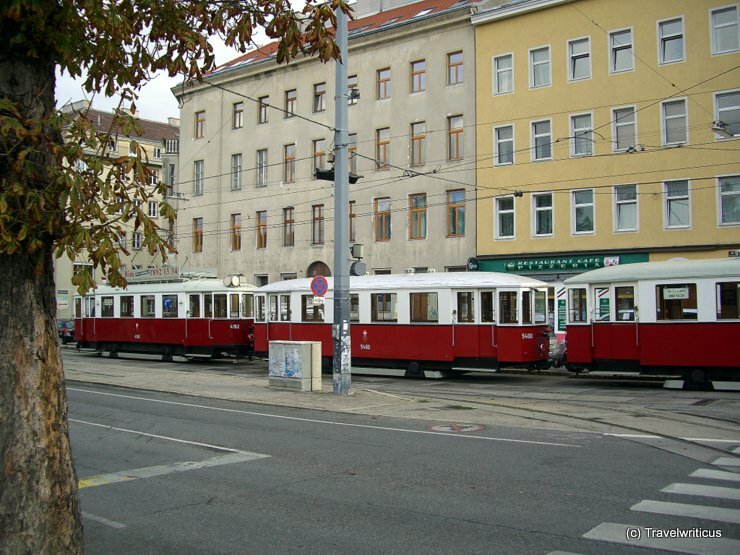 The Naumburg Tramway is considered as one of the smallest tramways in Europe and the smallest urban tramway in Germany. 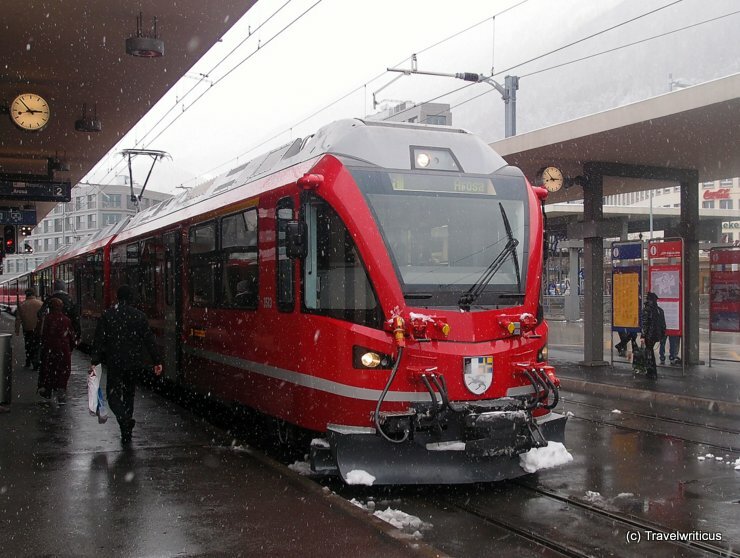 At Chur railway station I came across this ‘Allegra’ which was ready to climb up the steep railroad to Arosa. 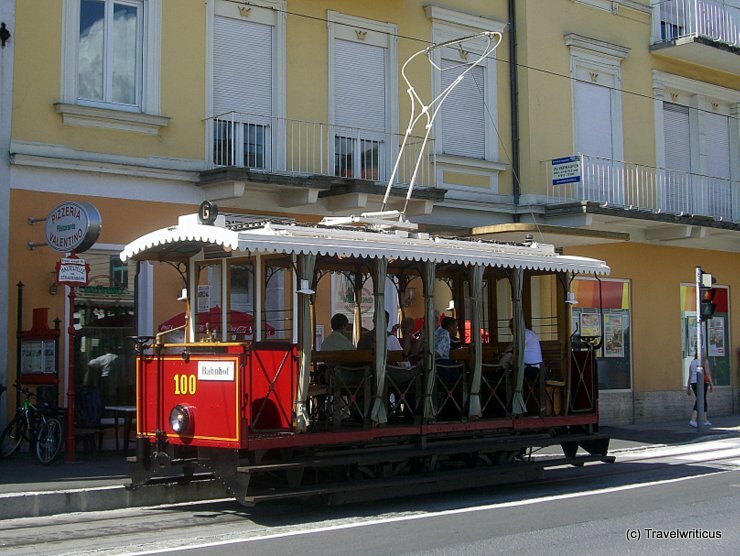 Have you ever tried this railway which starts as a tramway in Chur and turns into a mountain railway later? 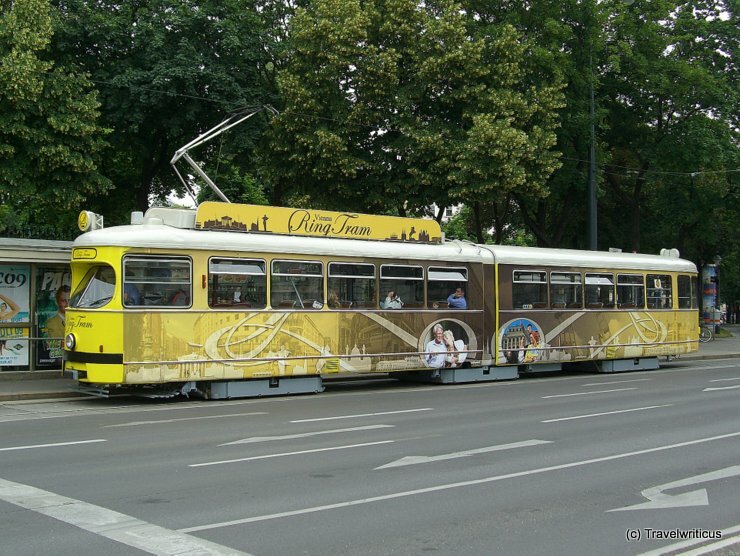 Next to the Museum of Technology in Vienna, I come across this tram-train of three tram cars. 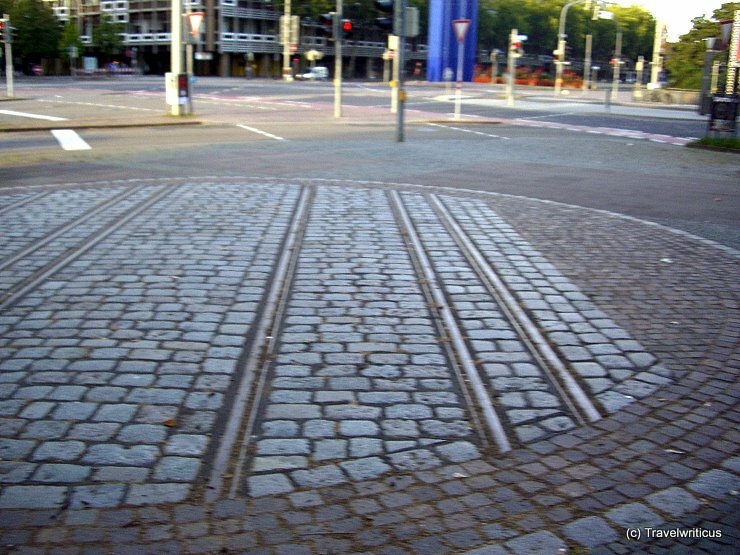 A rare pic in the Vienna of today.